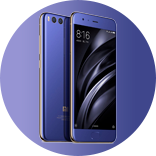 [Mi 6] All About Xiaomi Mi 6: SD 835 SoC, Specs, Features, Photos and More! Recruitment of Mi 6 Android Oreo Testers; Register now! how to recover deleted photoes? Mi 8 Lite nit able to make incoming a d outgoing call. Lock accessibility setting in lockscreen (MIUI 10)? is future update gonna support aptx and aac codec? how to get mi cloud space for free?